Trump's latest move would impose tariffs on a significant share of imported Chinese goods that enter the United States - $505.6 billion last year. Donald Trump's threat comes amid broadening confusion about the White House approach to trade policy. President Donald Trump ordered his chief trade negotiator to consider imposing tariffs on an additional $100 billion of Chinese products Thursday, in a dramatic escalation of his trade war with China. The threat from Trump is the latest volley between the White House and Beijing in an exchange of trade attacks that continue to broaden in scope and severity. It comes a day after China issued a list of tariffs against $50 billion in U.S. goods, including soybeans and small aircraft, in response to recent actions from Trump. "Rather than remedy its misconduct, China has chosen to harm our farmers and manufacturers," Trump said in a statement Thursday evening. The president's latest salvo is certain to spook U.S. allies in Europe and Japan as well as American business leaders, who are desperate for a negotiated resolution of the increasingly acrimonious dispute. The president's statement moves the world's two largest economies, which together account for nearly 40 percent of the global economy, closer to an open brawl. The stock market was closed when the White House released Trump's statement about the $100 billion in additional tariffs, but Dow futures tumbled over 300 points, a sign that markets are likely to open down Friday and that Wall Street traders believe a trade war is growing increasingly likely. The tariffs are not yet in effect, and there is still time for both sides to negotiate, but the announced level of tariffs almost certainly would lead to American and Chinese consumers facing higher prices at stores for many everyday items. 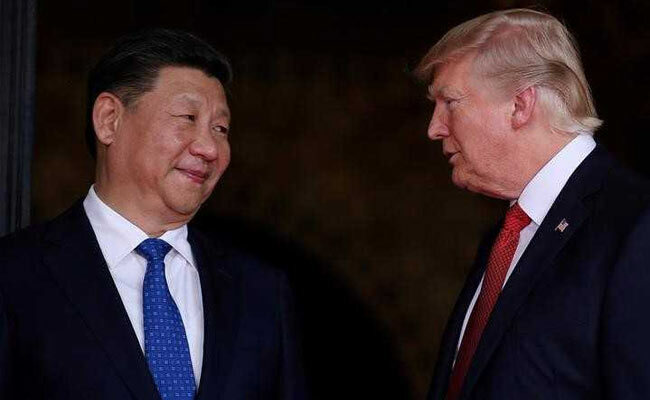 Many in the business community are urging Trump and Chinese President Xi Jinping to reach a settlement before the tariffs go into effect, and Republican lawmakers have been urging the U.S. president to back down. The lawmakers fear a deepening trade war will hurt jobs and businesses in their states, and they worry it could cost Republican votes in the 2018 midterm elections. "Hopefully the president is just blowing off steam again, but if he's even half-serious, this is nuts," Sen. Ben Sasse, R-Neb., said in a statement Thursday night. "The president has no actual plan to win right now. He's threatening to light American agriculture on fire." Trump's threat of more tariffs comes amid broadening confusion about the White House approach to trade policy, as it is in the midst of a major personnel change, and Trump has taken to issuing statements and decrees on social media only to have them explained in different ways by aides. Financial markets have wobbled as investors are led by Trump to think that the trade tensions are escalating, and then they are assuaged by another White House official suggesting that things will be resolved peacefully. One reason for the public confusion is because Trump's current economic advisers are split into separate camps. White House adviser Peter Navarro has cheered Trump's adversarial approach to China. Others, particularly National Economic Council Director Larry Kudlow, have suggested that these moves are all part of a grand negotiation that could result with no tariffs taking effect. But every time aides attempt to soften the edge of Trump's trade threats, the president takes direct aim at Beijing and declares that he won't back down until the gap between U.S. imports from China and its exports to that country is dramatically narrowed. In several bellicose tweets Wednesday, Trump declared: "We are not in a trade war with China, that war was lost many years ago by the foolish, or incompetent, people who represented the U.S."
Recent weeks have seen a dizzying exchange of tariff actions, beginning when Trump initiated a process to impose tariffs on steel and aluminum imports, and later exempted most major countries except for China. In response, China on Monday said it would impose tariffs on 128 American exports, including pork and a range of agricultural products that would have a disproportionate impact on U.S. farmers. On Tuesday, Trump unveiled a list of about $50 billion in Chinese electronics, aerospace and machinery products it plans to hit with steep tariffs. And then on Wednesday, China said it would pursue new import levies on U.S. soybeans, cars and airplanes, targets that would reach much deeper into the U.S. economy and potentially impact hundreds of thousands of jobs. China exported more than $500 billion in goods to the United States last year, and Imposing tariffs on $100 billion of Chinese goods in tariffs would be an extremely large sum that could have a major impact on the flow of a range of products. In threatening these penalties, Trump is seeking to enforce a 1974 law that gives him power to direct investigations into what he believes are China's theft of U.S. intellectual property. In his statement Thursday evening, Trump the new $100 billion in tariffs under consideration would be a direct response to China's retaliation this week. He also said he has "instructed the Secretary of Agriculture, with the support of other members of my Cabinet, to use his broad authority to implement a plan to protect our farmers and agricultural interests." It was unclear precisely what he wanted Agriculture Secretary Sonny Perdue to do. Trump still left open the possibility that this could be posturing in advance of some sort of trade deal with the Chinese government. "Notwithstanding these actions, the United States is still prepared to have discussions in further support of our commitment to achieving free, fair, and reciprocal trade and to protect the technology and intellectual property of American companies and American people," he said. "Trade barriers must be taken down to enhance economic growth in America and around the world." Trump believes that the U.S. government has allowed China for decades to flood U.S. consumers with cheap imports that hurt American jobs and led to the closure of thousands of factories across the country. He won the 2016 election by promising in part to restore many of those jobs, particularly in the Midwest. So far this year, he has threatened a range of countries, including Canada, Mexico, Germany, South Korea, and Japan, over their trade practices, but he has reserved his most aggressive attacks for Beijing.